We know you want the best selection, but you do not want to pay premium prices if you do not have to. That is why your authorized Tampa, Florida dealer – Patio Land USA – is proud to offer you the best of both worlds. One of the great brands that we proudly carry is Brown Jordan®. If you are looking for quality wicker furniture, you will be sure to find it with the Brown Jordan® wicker outdoor patio furniture line. If you want to know more about the options or the brand itself, we have more information for you. 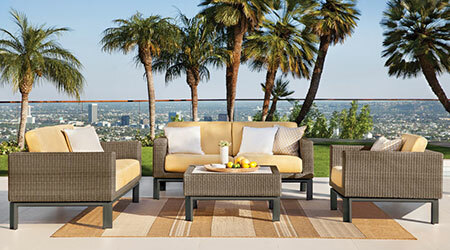 Brown Jordan® has been an important name in luxury leisure furnishings since 1945. 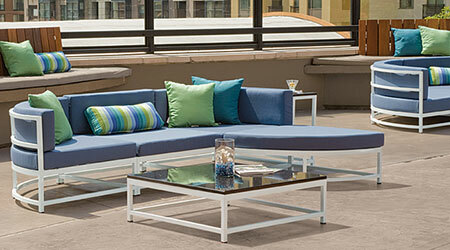 Originally established in Pasadena, California, it was the first company to create furniture for full-time outdoor use. Each of the pieces is designed to complement your leisure lifestyle. This translates into high-quality furnishings that enhance contemporary, transitional, and traditional environments. With more than 60 years of innovation and design integrity, you know what you are getting with Brown Jordan®. Brown Jordan® realized that in order to satisfy modern lifestyles, it would need to reinvent the natural beauty of wicker. This low-maintenance woven material is available in natural looking colors, distinctive weaves, is extremely durable, and versatile. The surface is also not going to flake, unlike traditional painted wicker. 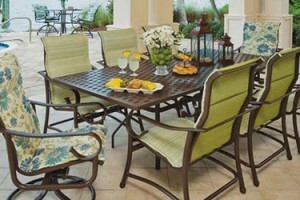 This means that the Brown Jordan® wicker outdoor patio furniture line is a great choice for patios, porches, and sunrooms. 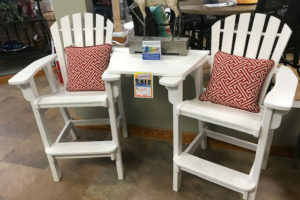 The weather-resistant fabric in the cushions adds a dash of pattern or color and a great deal of comfort to the furniture that you decide to put in your outdoor area. 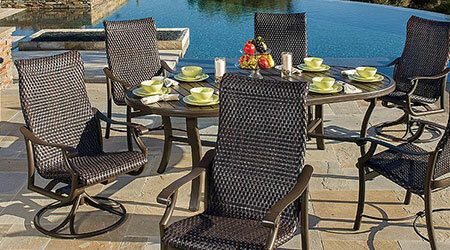 One of the reasons that Patio Land USA is happy to offer the Brown Jordan® wicker outdoor patio furniture line is because we know that the company stands behind its own product. We realize that when customers invest in their outdoor patio furniture, they expect that the lifespan of their products be counted in generations – not seasons.